Our newest addition to the collection is the popular buckled ankle strap. It makes the clog very secure on your foot and look GREAT! 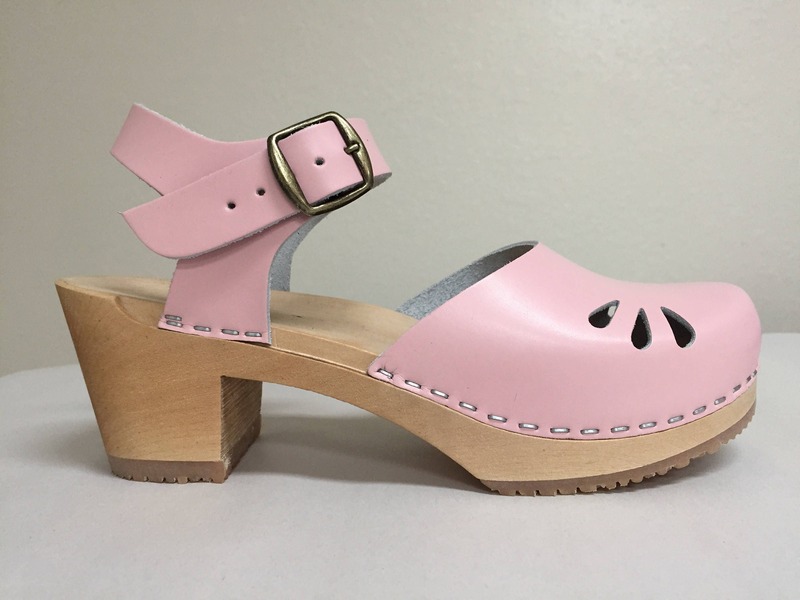 This design is in soft baby Pink leather on a natural wooden medium heel and a BRONZE buckle. My first day to wear them...every woman I saw, and I saw a lot because I work in a middle school, told me how cute they looked on me! Two women wanted to know specifically where I had bought them. I told them. I’ll be buying more!!! I love these clogs! They are exactly what I asked for. (Mine are the low heel however) They arrived earlier than expected, are super cute and comfortable. They are my new go-to neutral shoe. Thank you Chameleon Clogs. I will definitely be coming back for more! I absolutely love my shoes! They are super cute and comfortable.